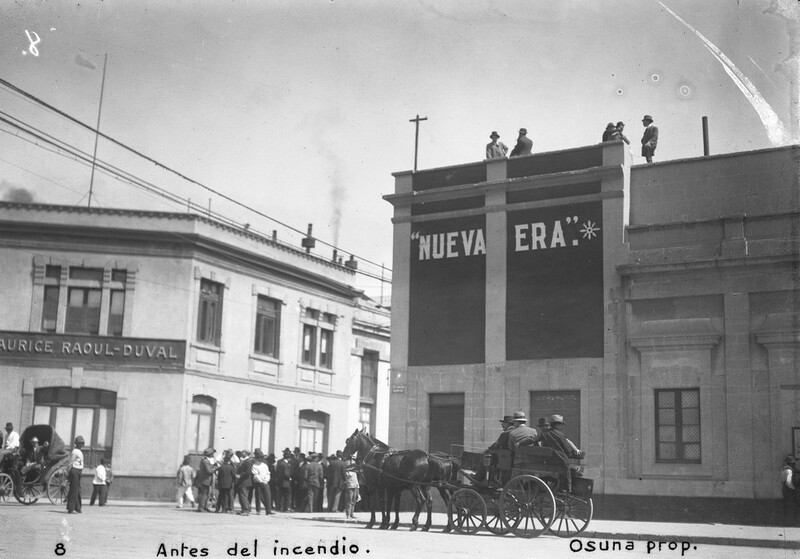 Scope/Content: Exterior view of Nueva Era newspaper office, a plain two-story building with large white lettering reading "Nueva Era." Five people stand on the building's roof, and a small crowd of people and carriages are gathered in the intersection beside the building. 8 Antes del incendio Osuna prop.